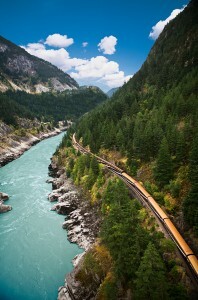 One of Rocky Mountaineer’s most popular packages, the Journey through the Clouds Explorer (was the Western Explorer) gives you a chance to experience the Canadian Rockies and stay in the most beautiful Canadian Rockies destinations and do it all in a week. 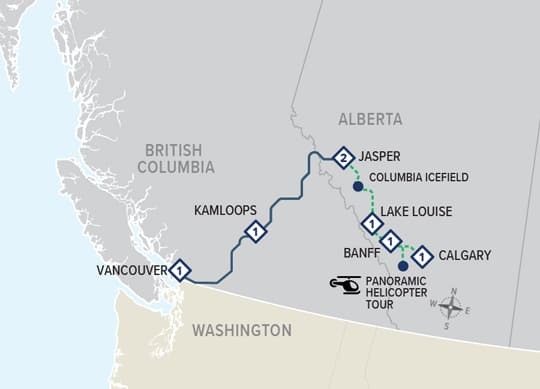 The Journey through the Clouds Explorer begins with an overnight stay in Vancouver each Monday or Thursday from April 15 to October 10, 2019. It begins with an overnight stay in Calgary each Tuesday and Saturday from April 13 to October 8, 2019. In 2019 this journey is renamed the Journey through the Clouds Explorer and Banff and Lake Louise take place in reverse order to the 2017 itinerary. In 2017 this package was called the Western Explorer.